I can’t wait for this movie. 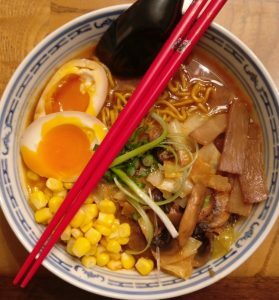 The featured ramen chef was a disciple of Yamagishi and shares his obsessive drive to create the perfect ramen. I have long wondered what lurked below the surface of a bowl of dipping broth from Taishoken. Now we get to see the next evolution. Just take a look at the video below for the construction of a typical bowl. The movie promises a no-holds-barred peek at the ramen culture of Japan and will tell all secrets about the great ramen. The secret appears to be very Japanese. The secret is years of hard work and dedication. I am so lucky that there is a showing near me in Austin. Not 20 minutes from my house. Expect to hear more about this movie up until the showing.